Want to keep up with what the city has to say? The new Alcalde has created a facebook page for announcements. Our Wednesday night workshops are going well! If you haven't heard about them yet, we offer a free workshop where you can learn about living, retiring, working, and buying in Mexico. We have them every week from December through April. If you are interested, you are welcome to attend. If you have friends down to visit and you are tired of giving them the shmeel of how it all works - send them to us! 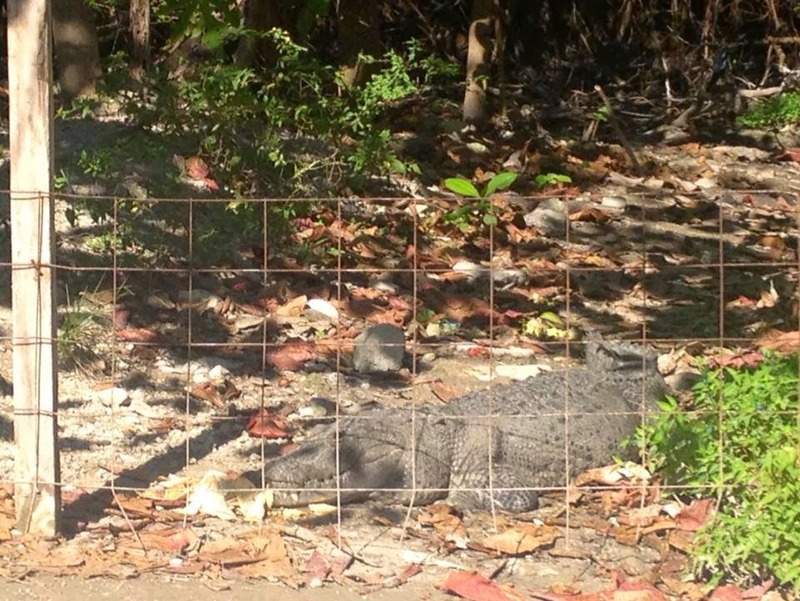 I happened to be driving by the Jardin de los Tejones, next to the Casa de la Cultura, on Ninos Heroes and snapped this photo of the Puerto Morelos Croc. He is a frequent visitor. He's also large and apparently living quite well on his diet of what I can assume is Tejones. Just remember, he is wild. His teeth are big. Act accordingly. AND PLEASE DON'T FEED HIM! Crocs that become habituated to being fed by humans become problem crocs and then dead crocs! !